Landscaping Kamloops | Gallery | Pronto Enterprises Ltd. 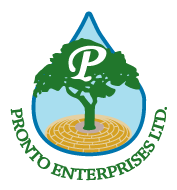 The team at Pronto Enterprises in Kamloops is dedicated to providing home and business owners with professional landscaping services they can count on. Whether you need a new stone pathway installed or a maintenance program set-up for your lawn, we can help. Check out some of our past work by looking through the photos on this page, and then give us a call to schedule a design consultation of your own.